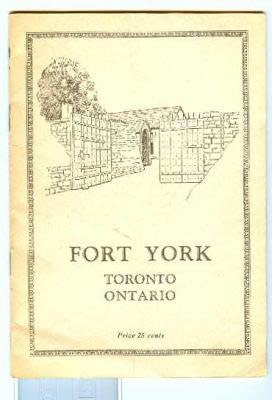 Fort York, Toronto, Ontario. Toronto, T.H. Best Printing Co., 1936. 24 p. Illus. Alley, H.R. Fort York, Toronto, Ontario. Toronto, T.H. Best Printing Co., 1936. 24 p. Illus. Jefferys is nowhere acknowledged in the text.